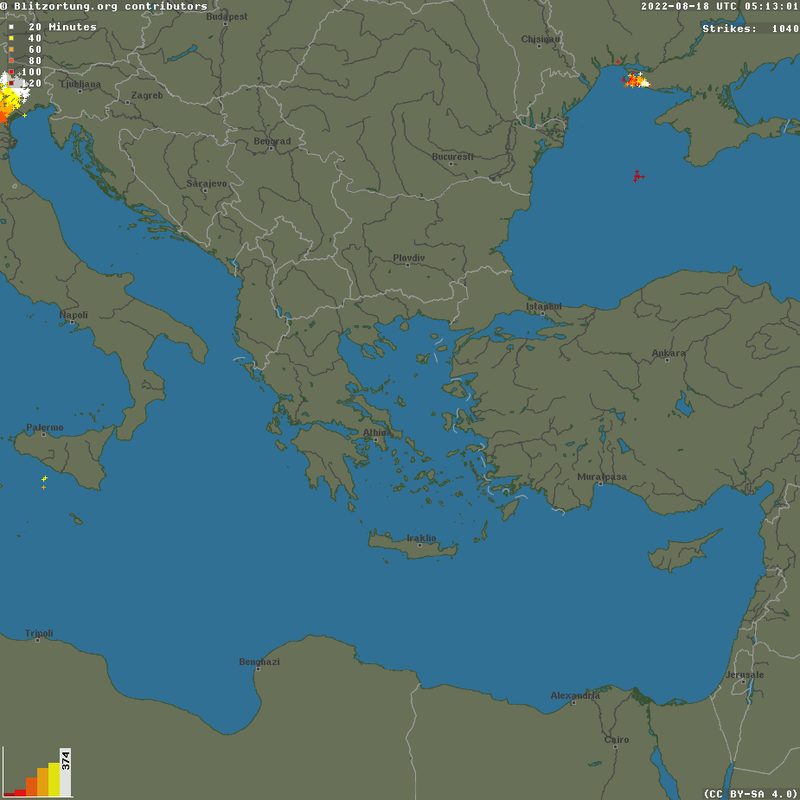 click on any image for a bigger view (approx 32KByte). 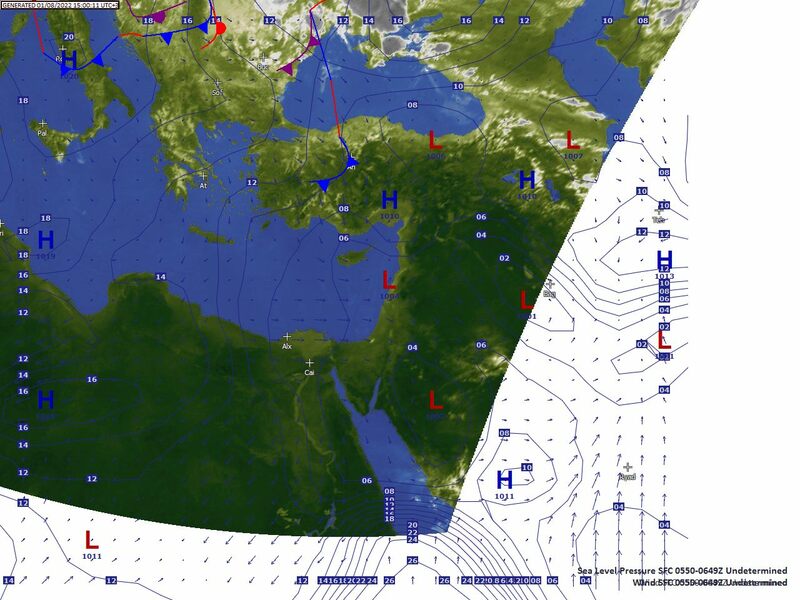 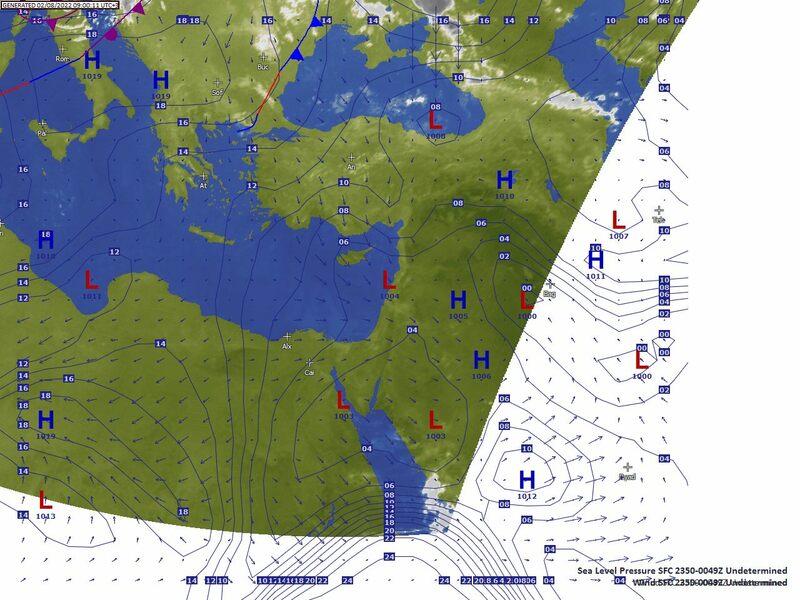 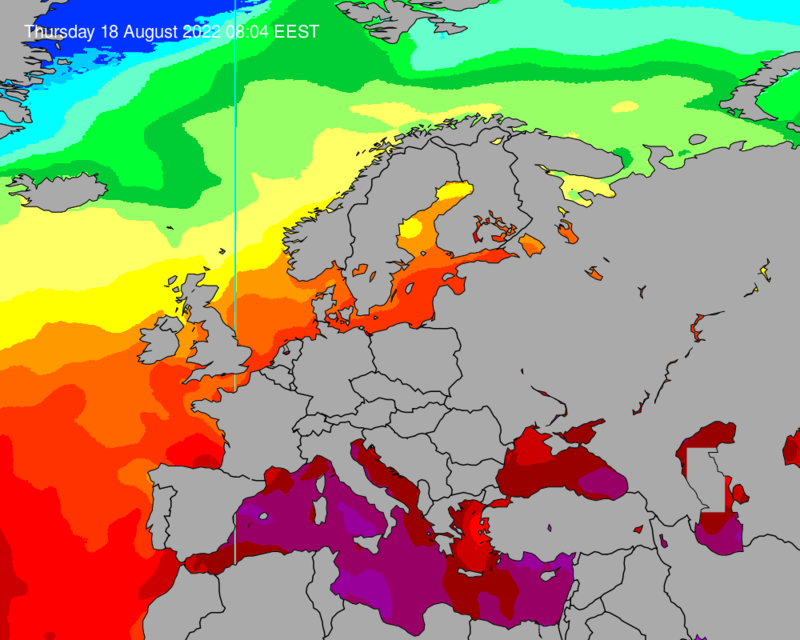 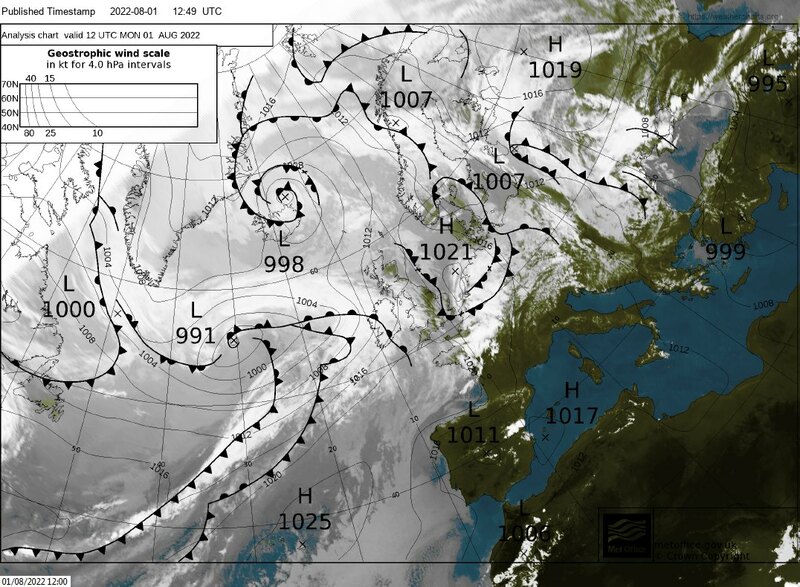 Surface Pressure with fronts, Mediterranean area, overlayed onto MSG satellite image. MSG satellite images are courtesy of Eumetsat. 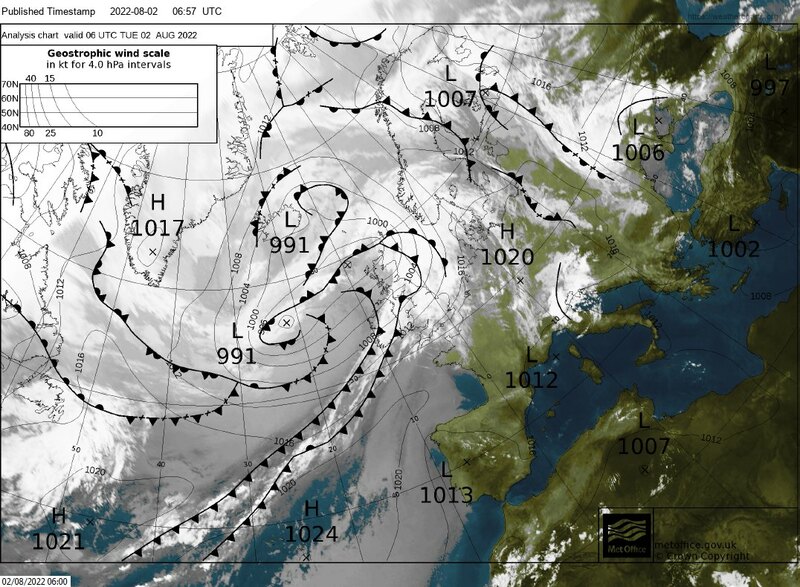 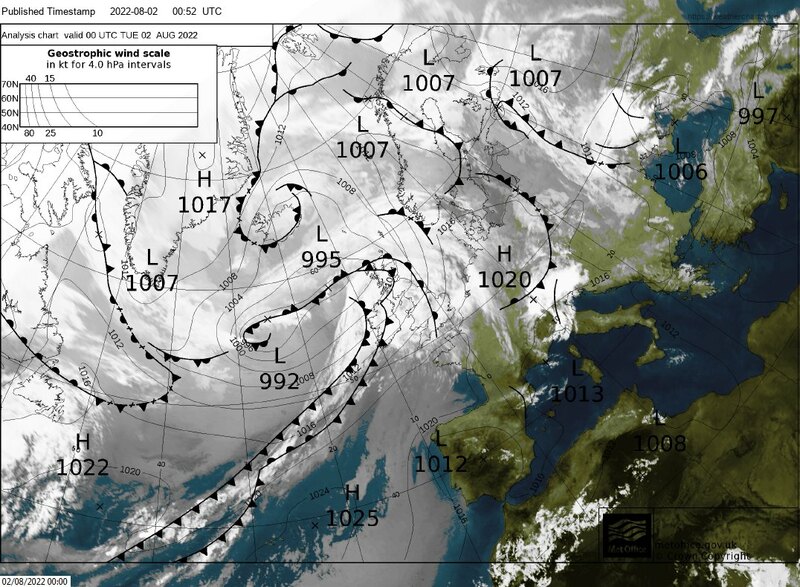 Surface Pressure with fronts, Atlantic & European area, overlayed onto MSG satellite image. 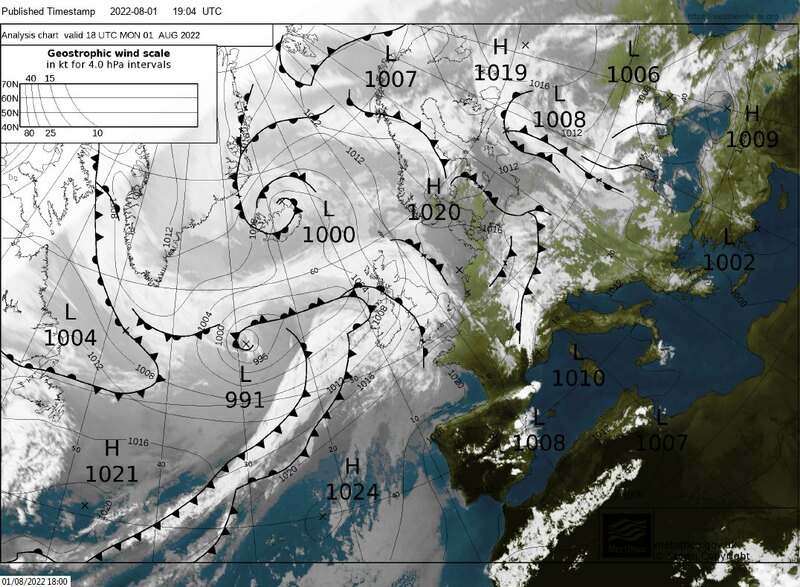 Images are generated & uploaded 6 hrs after chart Synoptic time and use latest MSG "essential data", courtesy of Eumetsat.